Home » News » Events » Manchester hits the small screen! Manchester hits the small screen! If you’ve been paying attention to the television recently, you’ll have noticed the iconic city of Manchester repeatedly popping up. 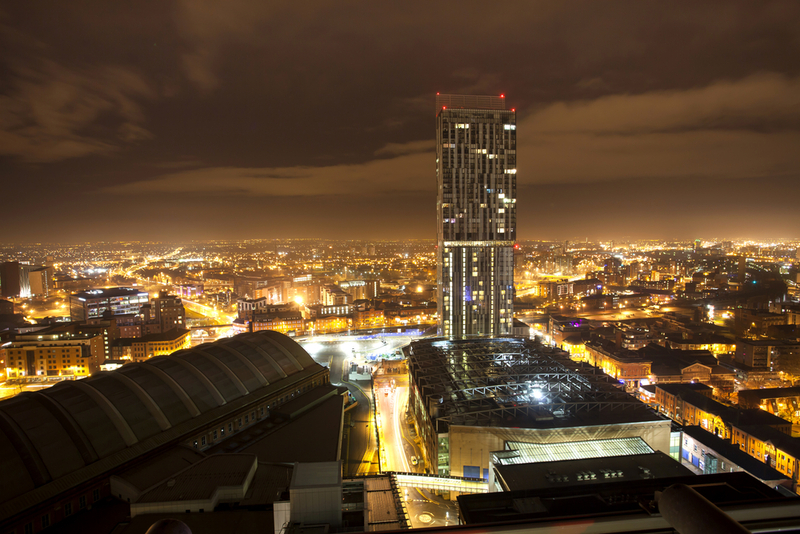 From classic Manchester-based shows such as Coronation Street, to new kids on the block like Peter Kay’s Car Share – the city has never been featured so much on our screens. So we’re going to take a look at where you’ll find Manchester on the screen over the next few weeks – and we dare you to try and sit through an episode without shouting out every time you see a city landmark. As we’ve already mentioned this one, it makes sense to begin our TV exploration with this effort. Peter Kay’s Car Share is the new show featuring the man himself and Sian Gibson. 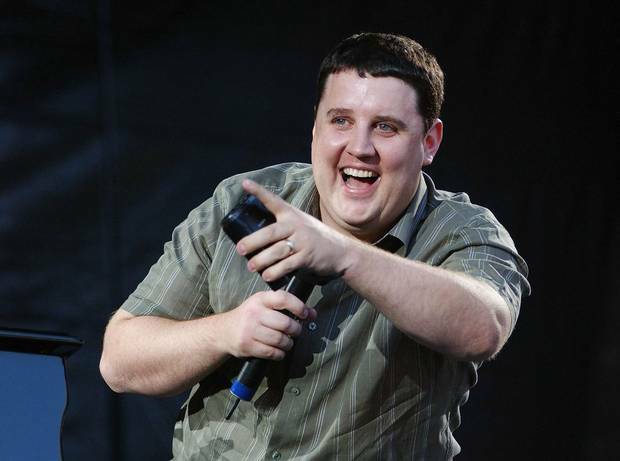 Co-created by Paul Coleman and Peter Kay, the entire premise of the show is shot in a car, and features the two main characters John Bradshaw and Kayleigh Kitson who are forced to travel together daily due to a work car-share scheme. If you have a keen eye you’ll see city landmarks in the background of this show, as well as shots from Salford, Walkden, Farnworth and Little Hulton. It’s great to see a comedy show set in the city – and it’s plenty fun spotting places you recognise! First aired on our screen this week, No Offence is a dark comedy drama written by the creator of Shameless, Paul Abbot and makes great use of Manchester’s most gritty landscapes. From the underbelly of the canal, through to the many archways and grimy streets – No Offence captures the city in a somewhat Dickensian tale of two worlds. On one hand, you have the shiny city centre – and on the other you have the dank narrow streets and canal walkways, all of which are sprinkled with graffiti. It’s a refreshing thing to see – a show on our screens that isn’t afraid to show a Manchester that is less than perfect. But it’s our mixture of modern and our memorable past that gives us our charm. Plus. we really do have great scenery for a grimy cop show, so it’d kind of be rude not to use it. 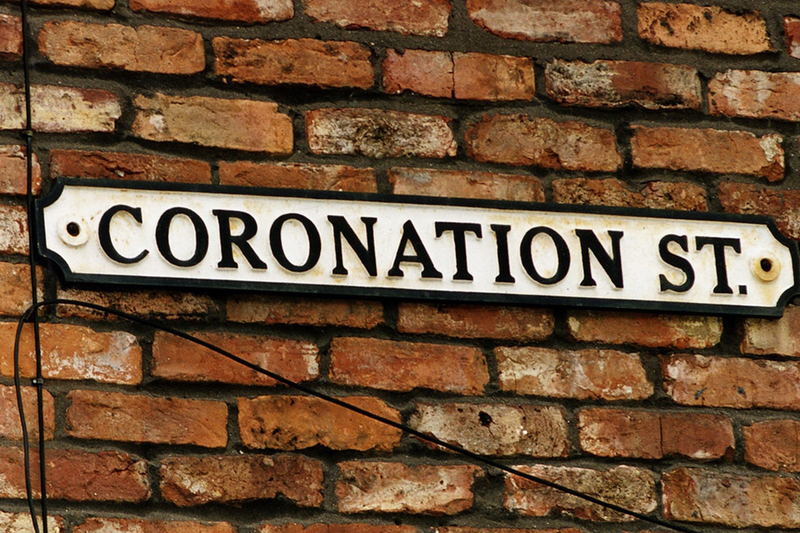 How could we have a list without giving a shout out to the city’s longest running show, Coronation Street? Although a fictional avenue, the role up features shots of the city centre and Castlefield, paying homage to the exact cobbles No Offence turned into crime scenes. You’ll regularly hear the cast discussing trips to the Arndale, Canal Street and more, so keep an ear out next time you watch. And if you really want to get a slice of Manchester on the TV, why not visit the old set next door to the Museum of Science and Industry? 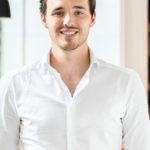 On first assumption, people may consider Dragon’s Den a show that is shot in the UK capital – what with all the money and business being thrown about. Dragon’s Den actually makes the most of Manchester’s historic mills and shoots in the city. The city also features on the titles, so the next time you see Deborah Meaden or Peter Jones standing on a rooftop – be sure to look out for the city in the background too. Channel 4 recently ventured back in time and came up with the show concept ‘The Mill’. But where on earth would they find an abandoned mills and buildings that they could take under their wing and transform into sets? Well, that’s obvious. Manchester and a few other areas in the vicinity have all playing excellent hosts to this Channel 4 delight. Murrays’ Mills, Ancoats were featured heavily in the first season, and if you look closely you may recognise the disused Salford Magistrates Court, the Chester Crown Courts, the Macclesfield Unitarian Chapel, Tudor Old Hall located in Tatton Park and also the Quarry Bank Mill in Wilmslow. It’s enjoyable watching the historical based program, and the scenes really provide an intriguing look into British history. Can you think of any shows that have been shot in Manchester? Leave us a comment below and join the discussion. We’d also like to see Manchester on the television in the future too – so if you have any recommendations, let us know!